Tinker Bell is one very special fairy. 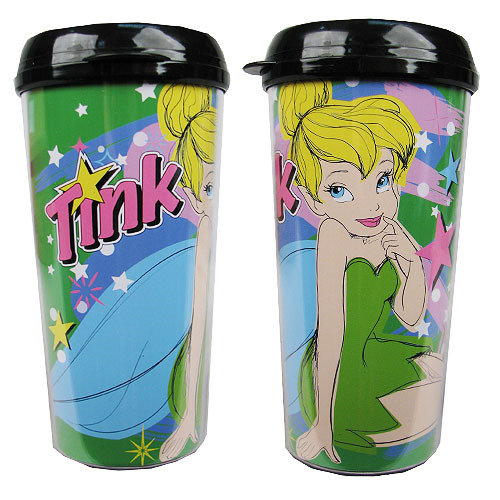 Take your favorite beverage on the go in your very own Tinker Bell 16 oz. Plastic Travel Mug. It's made of plastic, holds 16 ounces of whatever it is that gets and keeps you going, and features a charming image of Tinker Bell and the word "Tink." Hand wash only. Not dishwasher safe. Do not microwave.